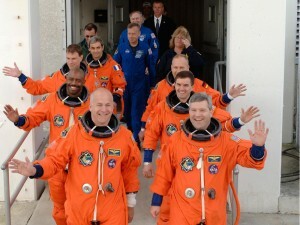 Two well known former astronauts have lost their lives in recent days – one in an accident and the other to illness. Sally Ride, the first woman to fly in space, died July 23 at her California home after a 17-month battle with pancreatic cancer, and former Space Shuttle Commander Alan “Dex” Poindexter was killed in a Florida boating accident. Ride was 61 and Poindexter was only 50. “Sally Ride, the astronaut and the person, allowed many young girls across the world to believe they could achieve anything if they studied and worked hard. 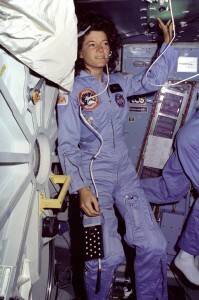 I think she would be pleased with that legacy,” former astronaut Steve Hawley added. Ride earned four degrees at Stanford University, including a doctorate in physics. After leaving NASA, she joined the faculty at the University of California-San Diego as a physics professor and director of its Space Institute before forming her own company, Sally Ride Science. She was inducted into the National Women’s Hall of Fame, the Astronaut Hall of Fame and was the recipient of the Vn Braun Award and the Jefferson Award for Public Service. She holds the distinction, NASA said, of being the only person to serve as a member of both investigation boards following the two space shuttle accidents. She also served on the Review of U.S. Human Spaceflight Plans Committee in 2009. Poindexter was killed July 1 in a jet ski crash while on vacation with his family in Pensacola, Fla. The Pensacola News Journal said Captain Poindexter was riding on a jet ski at Pensacola Beach with his son, Samuel, 22, when his 26-year-old son, Zachary Poindexter, riding on another jet ski, crashed into them. Poindexter was pulled from the water but died shortly afterwards at a Pensacola hospital. Neither of his two sons were injured. A veteran of two spaceflights, Poindexter spent a total of 28 days in space. A U.S. Navy captain, he commanded the STS-131 space shuttle Discovery mission to the International Space Station in 2010, delivering more than 13,000 pounds of hardware and equipment. He was the pilot for Shuttle Atlantis’ STS-122 mission that delivered and installed the European Space Agency’s Columbus laboratory on the station in 2008. He retired from the Astronauts Corps and NASA in 2010 and returned to serve in the U.S. Navy as dean of students at the Naval Postgraduate School in Monterey, Calif.
Poindexter earned his undergraduate degree with highest honors at Georgia Tech in Atlanta and a graduate degree from the Naval Postgraduate School. He was selected as an astronaut candidate in June 1998. I’m wanting to create my own personal blog and would love to know where you got this from or just what the theme is named. Thank you!